Today marks the 50th anniversary of The Beatles final ticketed live performance at Candlestick Park in San Francisco. 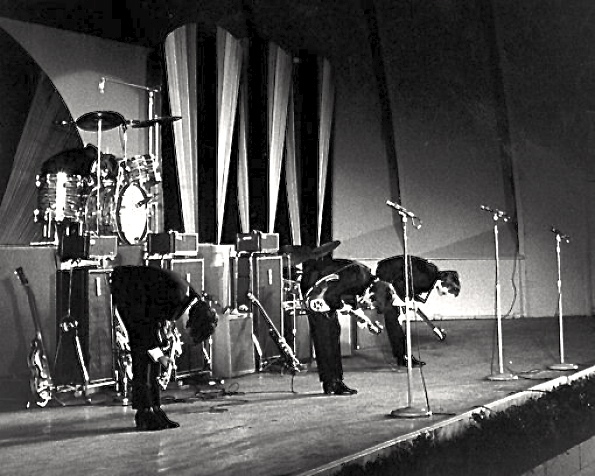 Although it doesn’t seem like it was predestined to be the end, the trials and tribulations of their 1966 tour took such a toll that the group decided unanimously to stop “the madness”. Although there are bootlegs out there of the Candlestick Park concert, the only live Beatles have is the 1977 release the Beatles at the Hollywood Bowl. Selections off of this album were recorded in August 64 and August 65 at the iconic Amphitheater. I have two copies of this album, both received as gifts. My first copy was given to me by my friend Tiny (who is actually and above average size human being). My best friend in high school, Tiny and I went to Hawaii as two 18 year olds on a post High School fling before my enlistment in the Air Force. Less than 12 hours after arriving in Honolulu my appendix ruptured and I spent whole vacation in the hospital. Tiny was on his own until my parents arrived to take care of me and keep him company. He managed to find a used record store somewhere in town and got me this copy of at the Hollywood Bowl to try and lift my spirits. The second copy was given to me by my friend Chris. His father, Bill, was a music aficionado and had a great record collection. Several years after Bill died in a tragic accident, Chris inherited his father’s record collection and, in a stunning act of generosity I still can’t get over, turned them over to me! Bill’s copy is an oddball pressing from Uruguay. So tonight I’m going to kick back and listen to both copies of The Beatles at the Hollywood Bowl. I’ll remember the kindness of friends and think about how lucky all those 40-some-thousand Candlestick Park attendees were to be at The Beatles final concert that night 50 years ago. They had a ticket to ride. So I’ve been doing pretty well at the thrift stores and yard sales this summer of 2016. I’ve managed to score several albums on my want list and even a few Holy Grail items! But one recent vinyl find spurred on some research: did the story inspire the album? Or did the album inspire the story/movie? … and he had used this pseudonym as far back as 1982. So, the movie’s director Jared Hess had to be a massive Elvis Costello fan right? As it turns out, not so much. 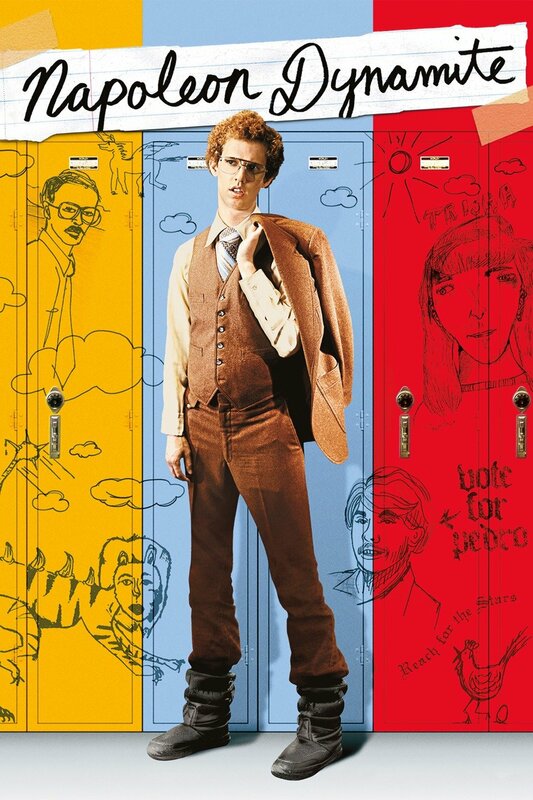 To this day Hess remains adamant that he heard the name from an old Italian man he met while doing a Mormon missionary work near Chicago Illinois. I’m not so sure, maybe someone should ask Pedro? 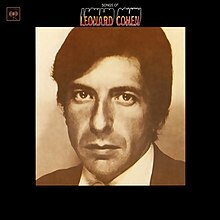 Now on to my next mystery: is Leonard Cohen actually Al Pacino? By some accounts, Thomas Edison invented the phonograph 139 years ago today. Read more about Edison and his talking machine here. The first of our 2016 summer concerts came and went recently. Not that I’m opposed to checking out new music live or anything… it’s just that the performers who tend to come to our venues are usually, let’s just say, known quantities. I was gobsmacked! So when this show was announced there was no doubt that I was going! Ms. Potter’s opening set was short-ish with a great mix of her pop, radio friendly songs and jam band excess. She does not exude the demure singer/songwriter vibe (although I’m sure she could pull that off as well). She was pure superhero! The greatest critique I can give Grace Potter is that my wife went in a skeptic and emerged at the break as a fan! The bulk of the crowd, though, was there to see The Avett Brothers. For years now I’ve shied away from those bands. You know the type… bushy beards, ironic mustaches, old-timey clothes and the like. The thing is, I don’t know why? There was a time in my life when I couldn’t get enough of roots music… whether it was the Will The Circle Be Unbroken of the Nitty Gritty Dirt Band introducing me to the giants of bluegrass, Jerry Jeff Walker singing me a story or the quirky music and vocals of Iris Dement, any group playing acoustic instruments and singing earnest lyrics had my ear. So I’d totally missed ascension Avett and their high energy, bluegrass-infused pop-punk. The first thing I noticed was that this was a pretty big band! Brothers Scott and Seth on banjo and guitar center stage, bass, keys and drums stage right and center and an acrobatic string duo… cello and fiddle stage left. The second thing I noticed was the crowd… they went nuts as the band fired up! This was going to be a standing show for sure. And the next thing was those harmonies! Two voices melting together that only siblings can manage. So, here it was me that came a skeptic and left a fan. Their lyrics seem truly sincere and the plainspoken poetry of their songs really came across as heartfelt. We picked up some records as mementos of the evening and have been listening to them regularly since. So, is there any new music on your summer schedule? My dear Lola I miss you! You were my first, all those years ago and I still think about you often. Of course, there have been others since then. But none of them compare to you, Lola! So here’s the story. My very first Kinks record was Lola Versus Powerman and the Moneygoround. I found her in a used record store in Tacoma Washington in 1986. Of course I knew the song Lola from the radio but the rest of this album was so witty and full of biting commentary… I was hooked! Unfortunately, so was one of my dorm mates and this album disappeared from my collection under suspicious circumstances. Since that time I’ve looked high and low for a replacement copy, but have had no luck. Until today! So, now that Lola and I have been reunited the question is, does she sound as good as I remember?